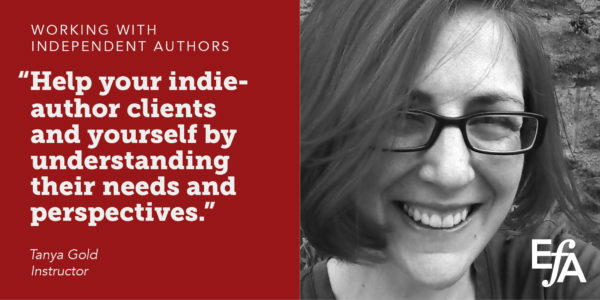 There are more and more opportunities for editors to work directly with independent authors — those who are self-publishing and those who are looking to work with a publisher. Different authors will have different ranges of experience and understanding of the industry. Understanding where they are coming from and what they need can help you make a good initial impression and create lasting relationships. This webinar will cover setting expectations, establishing good communication, determining what services authors need, talking about pricing, and giving effective feedback, so that you can create positive ongoing working relationships, use your time efficiently, and be an asset to the authors who hire you.